Complimentary For First 17 Callers! FREE For First 17 Callers! Waiting For A Dramatic Change Is A Thing of The Past. 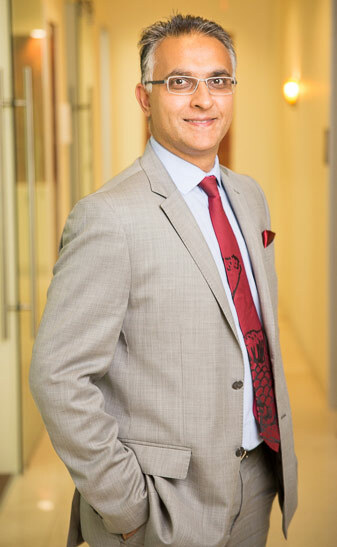 See Why Dr. Jivraj Is Among California’s Leading Dental Implant Providers. Your Ventura County Dental Implant Specialist. One of the Best Prosthodontist in California. A Specialist Of the art of treating damaged and missing teeth. Revision Specialist for Recreating Best Smiles. Voted Best of USA by his peers. Leading Provider of Affordable Dental Implants. Teaches Dentists at All-on-4 Implants Seminars Worldwide. Over 20 years of experience, 1000+ smile redesigns. How Can All On 4 Dental Implants Restore The Function & Beauty of My Missing Teeth? The Modern Alternative for Replacing Most or All of Your Teeth in Just One Day! READY FOR FULL MOUTH DENTAL IMPLANTS? 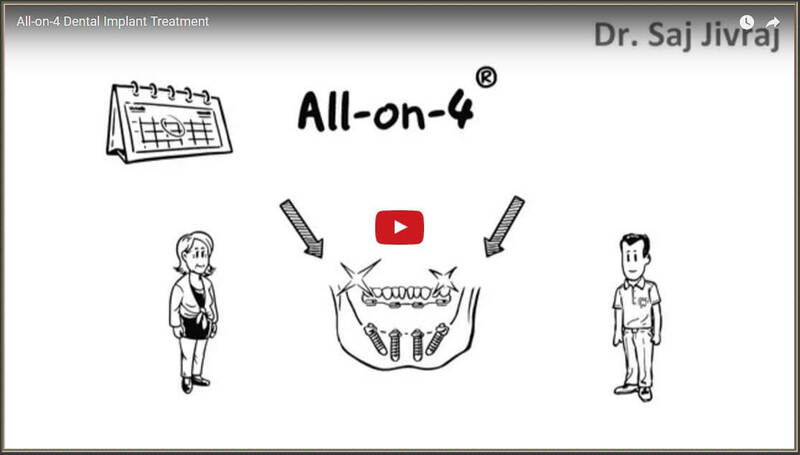 Am I A Candidate For the All on 4 Dental Implants? Answer Some Simple Questions to Find Out If Dr. Jivraj’s AO4+ Smile Solution Might be Right For You. How Can I Restore My Smile In A Day? All-on-4 Implants renews your quality of life by allowing you to keep your teeth where they belong: In your mouth. All-on-Four Treatments have a 95% success rate and are built to take a knocking and keep on chomping, making them a viable long-term solution in Ventura, CA. Improved self-confidence. Allow yourself to smile without worrying about gaps or unsightly teeth. No more mumbling or slurring of your words. What Do All-On-4 Implants Cost? One Team, One Location, One Cost! At Anacapa Dental, Oxnard, CA, Everything is Done Under One Roof- Making All On 4 Implants more Affordable, with California’s Best Cosmetic Dentist. In Just One Day, Our Patients Are Fitted With Fully Functioning, Temporary Teeth Which Enhances Their Look & Corrects Chewing Problem. Instead of Local Anesthesia, At Our Oxnard, CA Office Our Patients Are Fully Sedated For the All-On-4 Implants Procedure that They literally Wake up to a New Smile. Implants are the Only Lifetime Solution to Missing or Failing Teeth (unlike Dentures, Bridges and Crowns). Your California’s Implant Dentist Offers Lifetime Warranty On his All On 4 Implants Solution. Because They Are Securely Fused to the Jaw, All-On-4 Dental Implants are Simply the Next Best Thing to Your Natural Teeth. AO4+ Smile Solution Gives You A New Lease on Life by Getting Rid of ill fitted Dentures. At Anacapa Dental Arts Institute, Oxnard, Ventura our Computerized Implant Guided Surgery enables time saving, optimal esthetic outcome and minimally invasive surgery. Are dental implants the best solution for you? 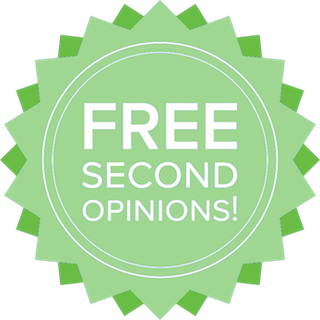 Find out with our free consultation! This will include a CBCT Scan, which is a 3D scan that a gives us a comprehensive view of your mouth. This tool enables us to more accurately pinpoint the best treatment for you. Regain Ability to Eat All Foods. Secure Teeth Like Natural New Teeth. All-On-4 Dental Implants Allow You to Start A New life In Just a Day! Wake Up To A New Smile. And That Too JUST IN ONE DAY! Are You Thinking About Getting Dental Implants? Learn everything you need to know about fully-guided dental implants from the experts at Anacapa Dental Art Institute! Download our FREE eBook now. NOT SURE IF ALL ON 4 DENTAL IMPLANTS IS FOR YOU? 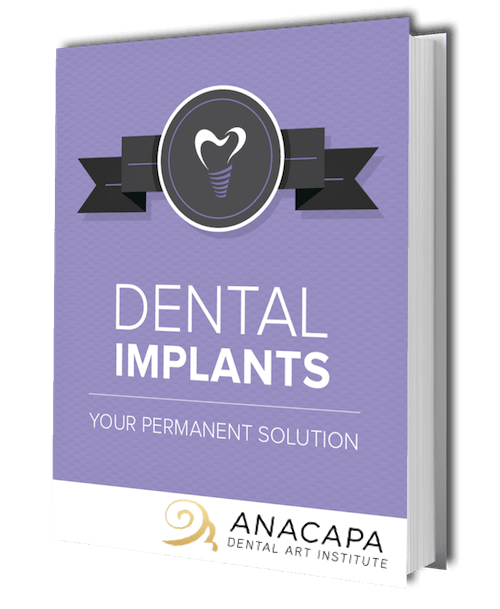 Our FREE eBook explains everything you need to know about dental implants. Get your FREE copy today! Gone are the days of multiple dental visits to fix missing teeth. Thanks to one-day, or same-day dentistry, it is now possible to place implants in a matter of hours with the revolutionary ‘Teeth In A Day’ procedure. What materials are used for implants. The benefits of same-day implants vs. traditional dentures. Get in the know and download your FREE eBook today. Your Ventura Prosthodontist Dr. Jivraj Answering Common Dental Implants Questions. Dental implants are one of the most important advances in dentistry because they look and feel like natural new teeth. They restore missing or damaged teeth to create a healthy and natural smile. While other options can lead to bone deterioration, problems with the teeth and gums, and may interfere with daily activities such as chewing, smiling and socialising. Dental implants are a tooth replacement option designed to look and function just like natural teeth. Dental implants are revolutionizing the way people think about tooth restoration; while before removable prosthetics were the only solution available, now there are a variety of dental implant-based treatments that offer patients a lifelong solution to tooth loss. Dental implants are made up of three separate parts. The implant itself is a medical-grade titanium screw that replaces your natural tooth’s root. This screw naturally stimulates the bone surrounding the teeth, just like your tooth’s root would, which prevents bone loss and preserves the structure of your face and jaw. A connecting abutment attaches to the screw and secures your prosthetic tooth or teeth in place. The prosthetic teeth (also known as crowns) are custom made to mimic the appearance of your natural teeth. The secure three-part design allows patients to eat, smile, and speak comfortably without ever worrying about a prosthesis coming out of place. Until recently, the main option for replacing multiple teeth, other than dentures, was to replace each tooth with an individual tooth implant. This was an extremely expensive and time consuming, especially for a full bridge of teeth. The new procedure of full teeth on 4 implants offers a much more cost effective option (less than ¼ of the price) and treatment times are considerably faster too. The cost of receiving dental implants can depend on several factors. The number of teeth being replaced, the extent of bone loss that has taken place, and the need for additional procedures, such as dental extractions or bone grafting, must all be taken into consideration when undergoing dental implant placement. Sometimes, your insurance will pay for a portion of the dental implant procedure, but please keep in mind that this is not always the case. Despite some advertisements for “bargain” implants, the only way to get an accurate estimate of how much your procedure will cost is to schedule a consultation with an experienced dental implants dentist. The training and experience obtained by prosthodontist, such as Dr. Birdi, allows them to accurately assess your needs and develop a treatment plan which addresses the long-term health of your mouth and dental implant. Why Should I Choose All On 4 Implants Over Dentures? Most Dentures Are Positioned Incorrectly Most dentures are positioned incorrectly. Natural teeth are offset from the bone whereas dentures must sit over the bone. Dentures also diminish the back teeth and fail to support the face as they should. Dentures Often Fit Inadequately. Dentures often fit inadequately, and as your facial bone recedes with age, the teeth are placed further and further towards the back causing your lips to lose natural support which gives you that sunken look many denture wearers have. More Cost Effective Option. If too much time passes, there will be insufficient bone mass to complete an implant procedure, and your dentures will fail to stay in place at all. The earlier your All-on-4 Dental Implant® procedure is completed, the more cost effective it is.